Our Mission: The Faith Formation Ministry of Good Shepherd Catholic Church, provide life-long Faith Formation and participation in the Christian life for all members of Our Community. We foster understanding of our Catholic faith, preparation for and participation in the Liturgy and Sacraments. We prepare our people to live a Christian moral life that is nourished by prayer and sustained by community support. We embrace service to the community and society with Jesus Christ’s missionary spirit. Our Goal: We are committed to create an environment in which we can belong as a community of faith, in which we celebrate what we live in the Holy Eucharist. We are committed to work with families, children and adults so they may discover God’s love. 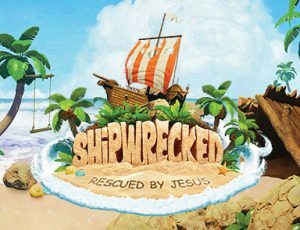 Our summer program is from June 11th – 15th held from 8:30 a.m. until 12:00 p.m. VBS allows students in Pre-K4, kindergarten through the sixth grade to have a fun, faith-filled and vibrant experience. Bible stories, fund-to-do crafts, lively music, and yummy snacks make up the morning activities. Registration is currently open. For more information please call (407)277-3939 ext. 211 or 212 or stop by the Faith Formation Office.